I once read a review on an earlier Clint Eastwood movie called Mystic River. In it, a well known critic sited his work as a product of quote unquote, "meat and potatoes" film making. I suppose it meant that he's not overly elaborate and more straightforward in his storytelling ways. Well, Clint's newest and most tiring endeavor American Sniper, has that affinity. It's like his own Flags of Our Fathers but with much better acting or Lone Survivor without the splurge of blood and guts. "Meat and potatoes" film making? Sure why not. "Meat and potatoes" film making with a large glass of wine? Okay, I'll give you that one. Clocking in at a running time of 133 minutes, "Sniper" is after all, wholly about the red white, and blue. When I mean blue, I mean depressing. This is the only movie I've been to where when it was over, you could literally hear a pin drop in the audience. No one said a darn word as they exited the theater. War is hell (obviously). Director Eastwood and writer Jason Hall (his screenplay for "Sniper" is heads and tails above the one he wrote for 2013's dreadful Paranoia) fashion a crisp, easy-to-follow story line that takes you through the short life of Chris Kyle (played by Bradley Cooper). What's largely on screen is based on Kyle's autobiography titled, American Sniper: The Autobiography of the Most Lethal Sniper in U.S. Military History. In the movie, he starts off as a once promising rodeo rider from Odessa, Texas. After injuring his arm, he instead forgoes his rodeo career to serving his country overseas. You see, when he was a kid his dad taught him how to shoot (and shoot accurately) animals like quail and deer. Kyle takes these skills with him later on in life and eventually becomes a killing machine for the U.S. military. As a sniper who gets the nickname "Legend", Kyle racks up over 100 assassinations during four blistering tours in Iraq. The film depicts him coming home in between these tours and becoming incredibly distant with his kids and his wife (Taya Renae Kyle played by Sienna Miller). He's present in body but not in spirit. He even has flashbacks that eventually trigger a loose cannon temper inside of him. Now American Sniper, with its pedestrian combat scenes, is not entirely groundbreaking. 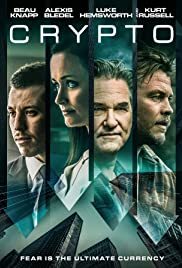 I am however, recommending it for its valid sense of time and place (Kyle's plight starts to unfold after he witnesses the 9/11 attacks on TV). The acting is all aces and it rises above the already feasible material. Bradley Cooper and Sienna Miller get top billing and they literally disappear into their roles. They alter their normal appearances (Cooper gained weight and dons a pretty good Texas accent considering he's from Philadelphia) and halfway into "Sniper", you forget that it's actually them. In all fairness, you can literally feel Cooper's nerve endings in his portrayal of a bruised Navy SEAL with post traumatic stress disorder. This is more mature, more complex, and more contingent than anything he did in American Hustle or Silver Linings Playbook. Believe that. Thespian prowess and believable locations aside (California can surely look like Iraq if the set design is sufficiently done and it's done well here), American Sniper still has flaws. They are to a degree, only minimal. I didn't buy the courtship between the Cooper and Miller characters. It was probably a classic love story in real life but movie-wise, it just seemed underdeveloped. I also felt misconstrued by Kyle's brother's character (played by Keir O'Donnell) who filters in and out only to never have a median in the plot development. He fights in the war just like Chris but his only scene concludes where he tells him, "f**k this place". I'm not sure what he meant by that to be honest. "Sniper" doesn't explain what happens to Jeff Kyle. We never hear from his bewildered soldier ever again. In conclusion, American Sniper has some powerful moments but you can always sense that it's holding back a bit. It's like a marathon to get audiences to tear up and it doesn't quite reach the finish line. The scenes involving Kyle's sniper kills are the high point. They sting a bit and the moments leading up to them involve good actors/actresses making their scenes stick. Eastwood as usual, keeps things moving and his technique is to let the audience know exactly what's going on in order for things to ring true. He directs at times, with a steel-eyed magnetism but is however, hit-or-miss on the notion of ending his films with a certain level of panache. I wanted more out of "Sniper's" muted conclusion. It's abrupt and it signals his penchant for wrapping things up quickly (under time and under budget). That might explain his no-nonsense, no flash sense of style (it's rumored that his actors only do one or two takes a scene so Clint's tidy but no perfectionist). No matter. His editing team of Joel Cox and Gary Roach make things flow like butter. He fashions a character study about Cooper's Kyle that brims with madness and panic. Kyle lives for war, it consumes him, and he's built up a scary tolerance to it. He's set in motion to kill and protect his country even though he's thousands of miles away from it. American Sniper in the end, is a solid "American" movie. It may be conventional with its minimalistic violence and by-the-book candor. However, if you take out the rushed conclusion and counterfeit romance (remember, this is how the movie treats it. I'm sure that the late Chris Kyle and his real life wife had genuine love for each other), there are still significant bruises left behind. Result: A tributed 3 stars.